Larry is a LPL Registered Principal, LPL Investment Advisor Representative, and Certified Public Accountant. He earned his Bachelor’s Degree from the University of Michigan, Ann Arbor. His distinguished resume includes 15 years management experience with Deloitte & Touche and Republic Bancorp Inc., both named on Fortune’s "100 Best Companies to Work for in America" list. While with these Fortune 100 companies, Larry was also a speaker and instructor locally and nationally. His area of practice is investment and goal-based financial planning for individuals and corporations. Larry brings a solid comprehensive financial planning approach to each of his client relationships. His primary focus is to provide his clients with a clear understanding of their current financial situation and to provide guidance based on their stated goals. As a Certified Public Accountant he focuses on tax-conscious investing to maximize investor return. 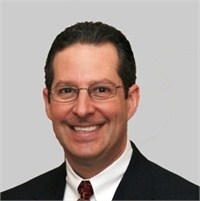 Larry holds the FINRA Series 7, 24, 63, and 66 registrations and is also a licensed life, accident and health insurance agent in the State of Michigan. He is a member of the American Institute of Certified Public Accountants and the Michigan Association of Certified Public Accountants. Larry resides in Farmington Hills, Michigan with his wife and 2 children. He has been an active member on his subdivision’s Board of Directors and coached youth teams and activities.